Bears were once common throughout many parts of the world. Today, all eight existing species of bear are under threat mainly from human activities. The Brown Bear was formerly also common throughout Europe; today, however, in Western Europe it is present in small numbers in the Pyrenees and Cantabria, as well as the Apennines and the Alps in Italy. According to the Forestry Code (Legislative decree 86/1969, article 258) the killing, capture, possession and exhibition of bears is illegal in Greece. Bears are also listed as a priority species in Annex II of the European directive 92/43 EEC. Under both Greek and European legislation, the Brown Bear is a fully protected species, listed in the Greek Red Book of Endangered Species. 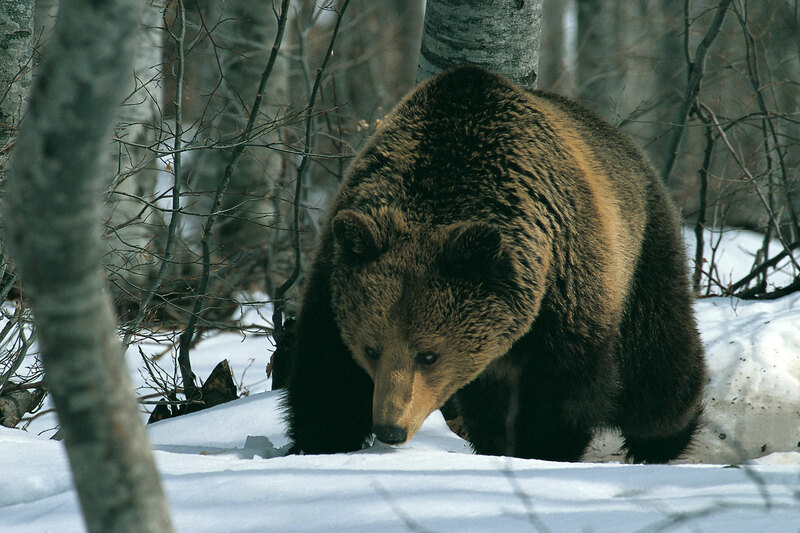 In Greece the Brown Bear occurs in two geographically separate areas. The core area of the western distribution is located in the Pindos Mountains in northwestern Greece (i.e. the Prefectures of Florina, Kastoria, Kozani, Ioannina, Grevena, and Trikala). The core area of the eastern distribution is located in northeastern Greece, in the Rodopi Mountains. The minimum bear population size estimate in the country is 190 individuals; 160 individuals in the western and 30 individuals in the eastern distribution area. In recent years several extra-limital occurrences of the species have been recorded throughout the country but the underlying biological factors of these occurrences are still poorly understood. Brown Bear; a regular visitor to Mt. Oiti?